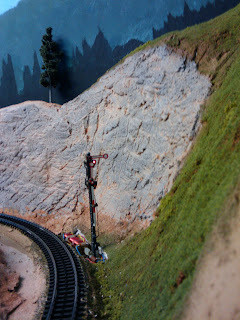 I rebuilt the stub-ended staging yard, added more power feeds and squeezed in some more track. The switch ladder is now fully powered and integrated with JMRI. 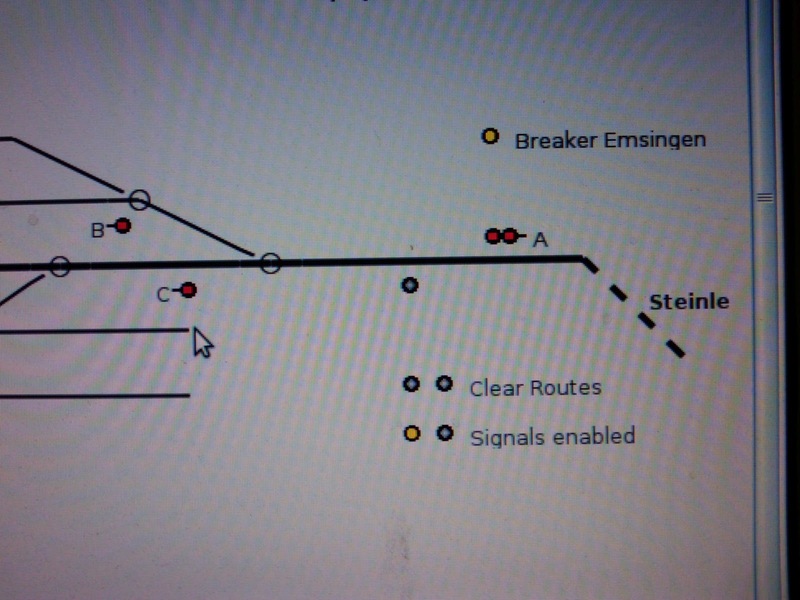 The logix are set up to throw the switch ladder and set an imaginary signal to Green when leaving the staging yard. 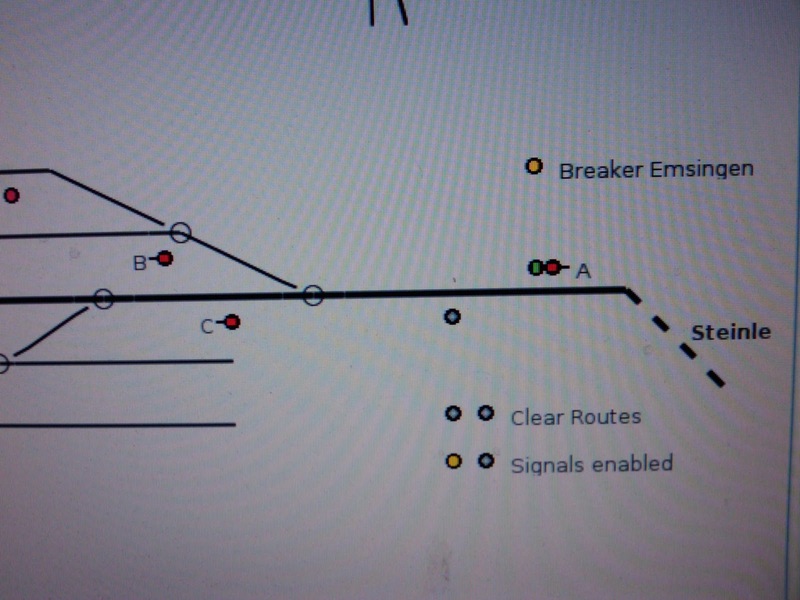 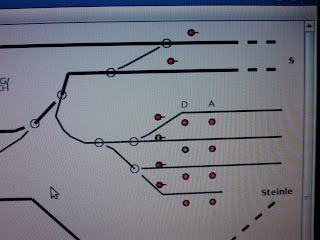 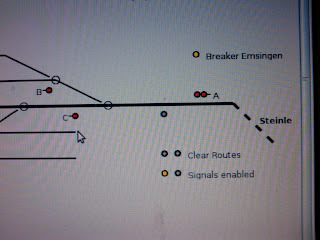 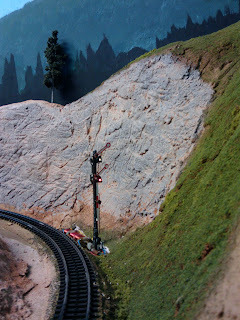 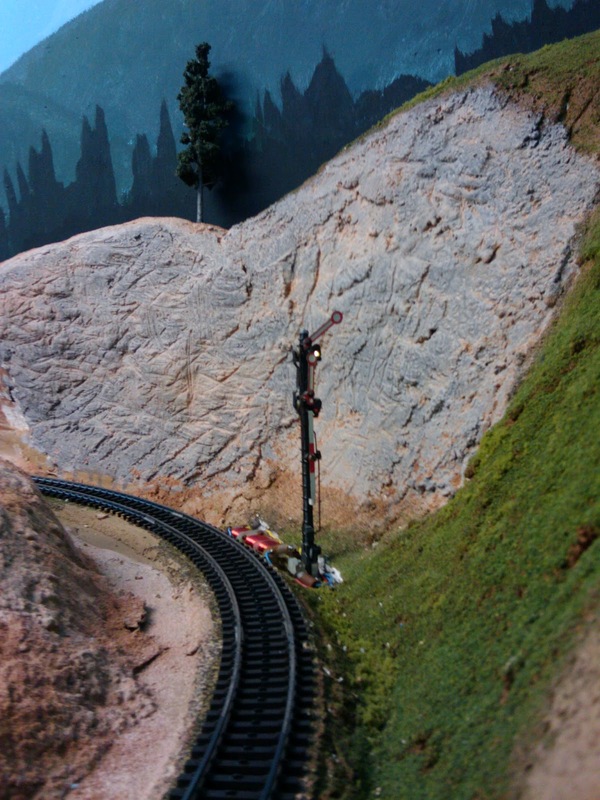 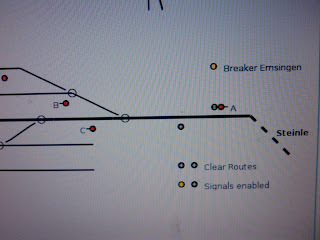 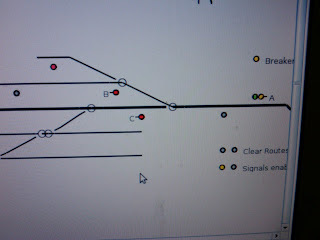 Also, when setting the route for an arriving train, the cross-over on the staging ramp is thrown automatically. 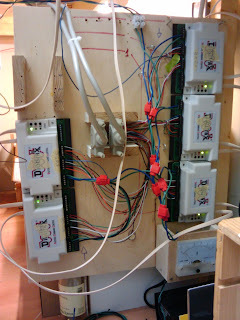 Next was adding another DS64 to the main decoder panel. The panel was originally envisioned as the central place where all electronics is located. 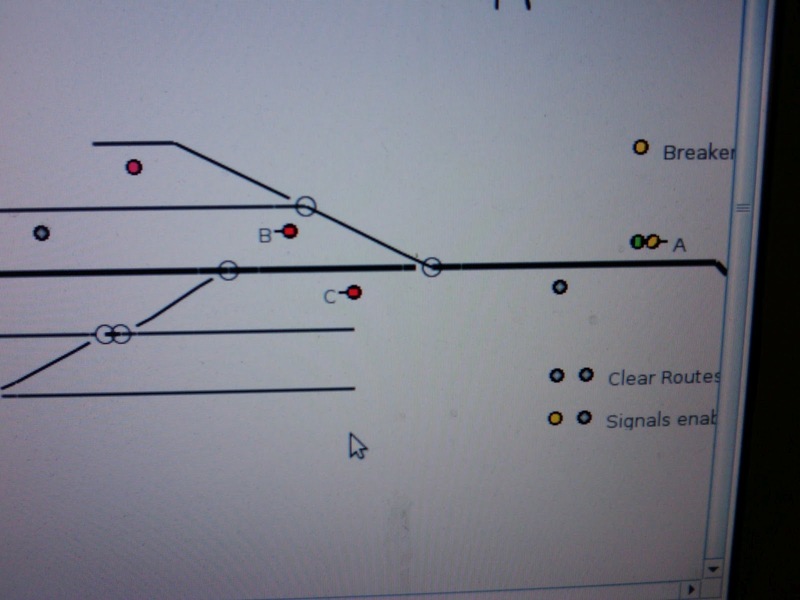 Over time that turned out to be not such a smart idea, and I came to appreciate a model of components distributed on the layout and connected by LocoNet. 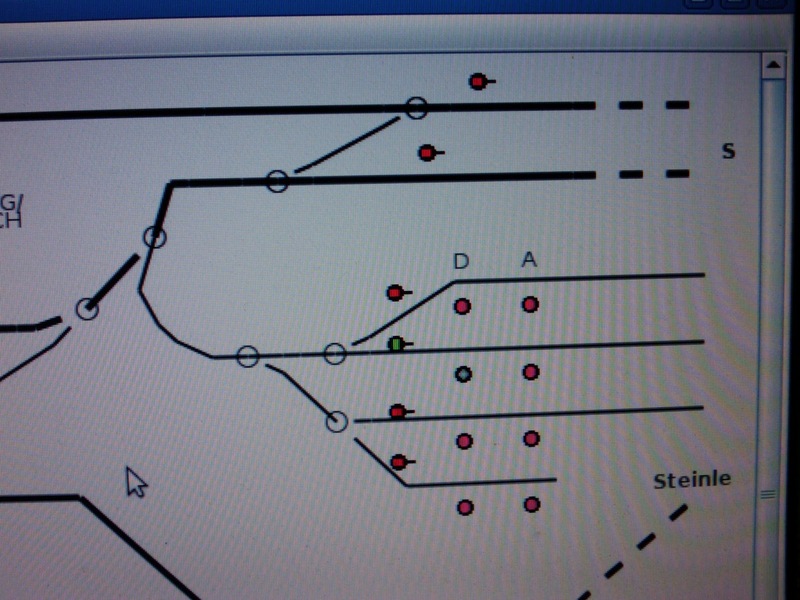 Nethertheless, there *are* a lot of solenoid driven turnouts in staging, and the signals in Talheim, so it made sense to group the decoders driving those units together.